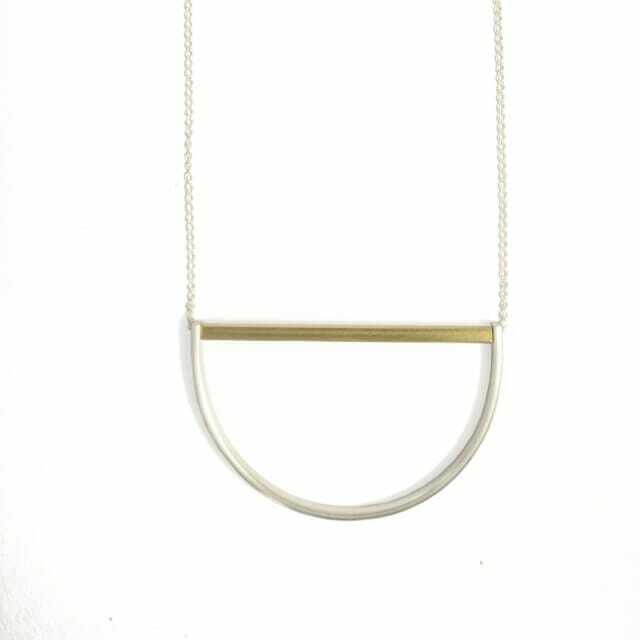 A minimalist necklace in silver and brass. This is an easy to wear piece that effortlessly adds a dash of the contemporary to any outfit. 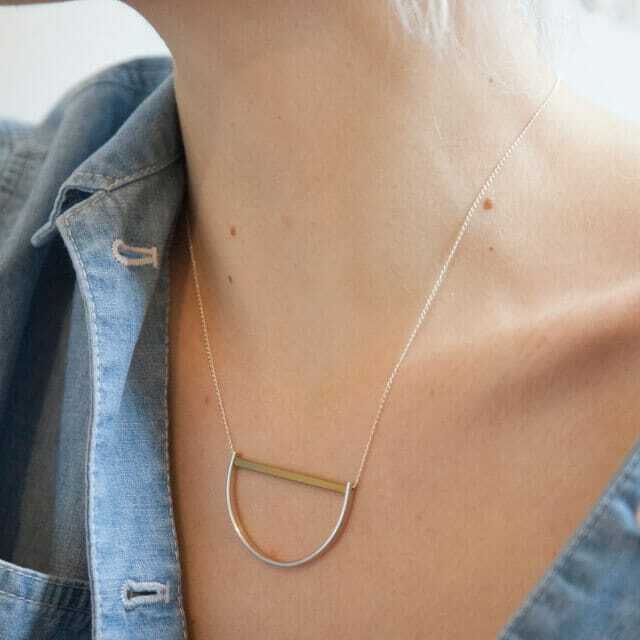 The Luna necklace focuses on the elegance of simplicity with its clean geometry. It is the perfect piece for any outfit.